Charles Rennie Mackintosh, Architect, was born in 1868 in Parson St, Townhead, Glasgow. His Martyrs Public School can still be found here. For Rennie Mackintosh history / background scroll down to lower part of page. This building was remodelled by Charles Rennie Mackintosh in 1895, his first major public building. 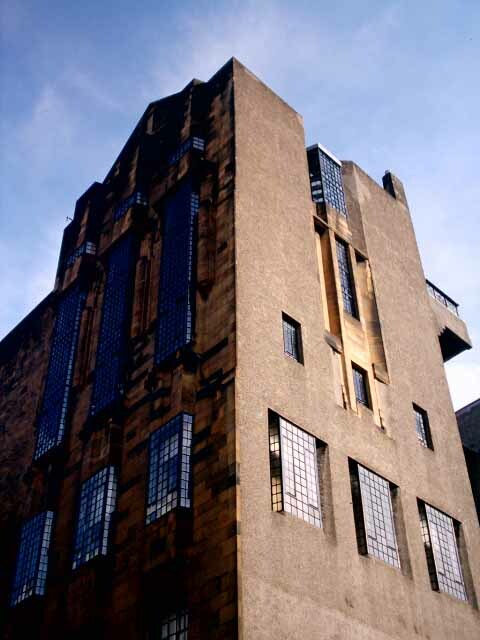 Glasgow School of Art is probably the most well know Charles Rennie Mackintosh building. The Hill House was designed for publisher Walter Blackie. 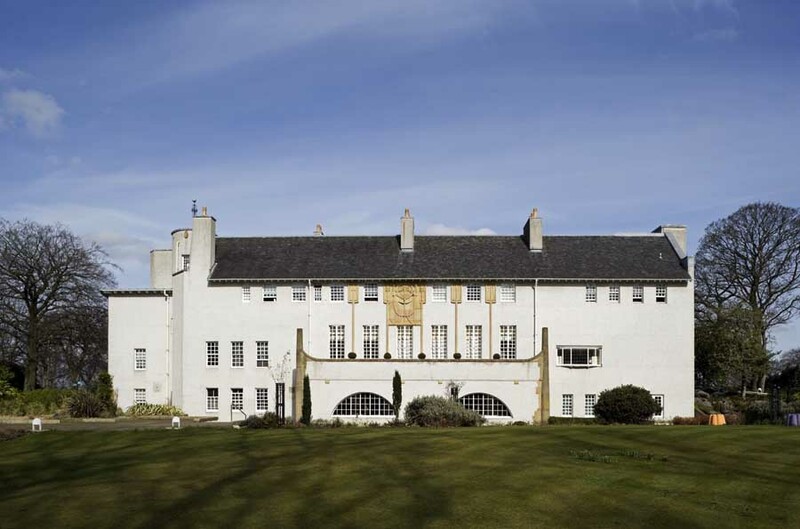 After the Glasgow Art School, The Hill House is one of Rennie Mackintosh’s best known works. The facades are typically strong with the few apertures articulated with characteristic grids, and subtle non-orthogonal elements such as the chimney. Rennie Mackintosh’s style is often seen as not only related to fin-de-siecle Art Nouveau but to the burgeoning Modern Architecture movement. This Rennie Mackintosh work typically works with the Scottish traditional architecture, often referred to as the Scots Baronial, the rustic architecture of towers and crow steps. The Hill House is run by the National Trust for Scotland and is close to Loch Lomond. Charles Rennie Mackintosh building designed with his wife Margaret Macdonald in 1901 for a German architecture magazine competition and constructed to his original plans in 1989-96. Glasgow Tea Rooms for Kate Cranston. A similar Rennie Mackintosh Tea Room exists at 97 Buchanan Street. Interior of a Rennie Mackintosh-designed house relocated to this site from where the architect once lived. Charles Rennie Mackintosh worked closely with his wife, Margaret Macdonald: she apparently was primarily involved in the interiors. Charles Rennie Mackintosh was born Glasgow in 1868. Mackintosh enrolled at the Glasgow School of Art at the age of fifteen. A year later he joined John Hutchison Architects as an apprentice. After completing his apprenticeship he moved to Honeymann & Keppie Architects in 1889. 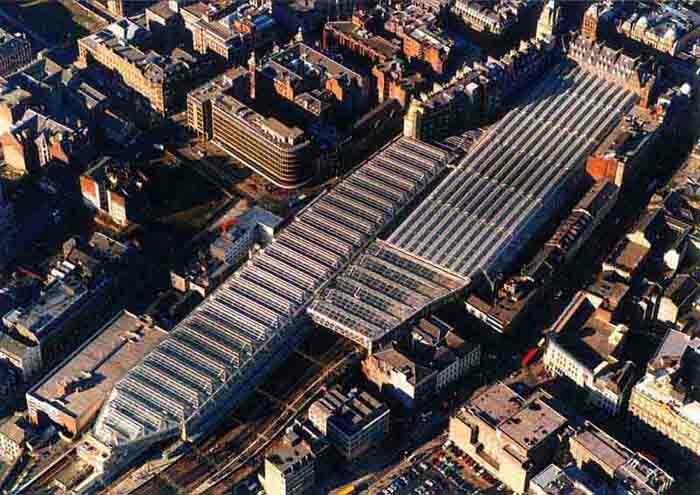 Rennie Mackintosh won the ‘Alexander Thomson Travelling Studentship’ for Public Design in 1890. He travelled around Europe, principally in Italy as previous great Scottish architects had done. Rennie Mackintosh drew influence from these travels, but also from other cultures such as Japanese Art, and from the Scottish countryside. Rennie Mackintosh continued his studies at Glasgow School of Art: the new principal Francis Newbery had transformed the School.He encouraged the students to follow the latest trends in art, design, crafts and architecture. Charles formed a close friendship with a fellow draughtsman Herbert MacNair, they both shared a vision of a new and symbolic architecture. Whilst studying at the Glasgow School of Art Rennie Mackintosh was introduced to two sisters – Frances & Margaret Macdonald.Daughters of a Scottish mother & English father, they had settled in Glasgow. Rennie Mackintosh together with his friend Herbie MacNair formed an artistic alliance with Frances Macdonald & Margaret Macdonald: they became known as the ‘Glasgow Four’, and their Art Nouveau-inspired work became the hub of the ‘Glasgow Style’. In 1899 Frances Macdonald & Herbie MacNair married and moved to Liverpool. 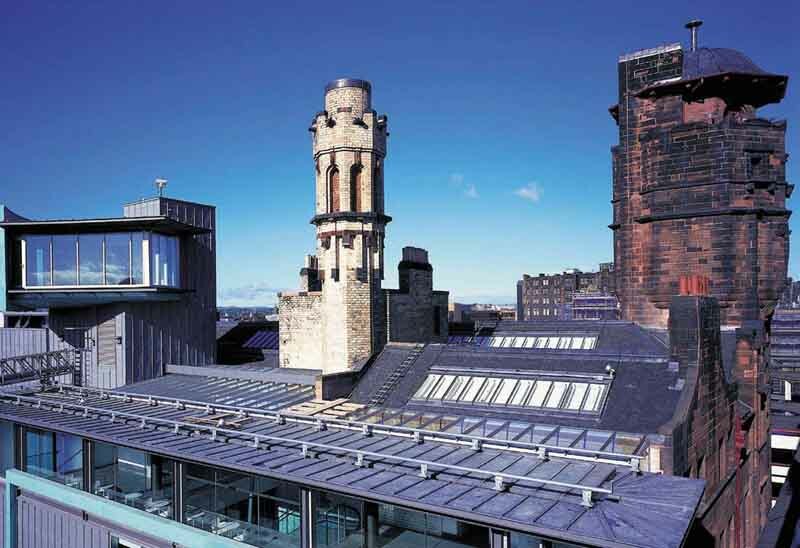 Rennie Mackintosh started the Glasgow School of Art. In 1900 Rennie Mackintosh married Margaret Macdonald. In 1896, Rennie Mackintosh met Miss Catherine Cranston, a local Glasgow businesswoman with a firm belief in Temperance. Kate Cranston wished to create a series of ‘art tearooms’ in Glasgow. From 1897 to 1917 Rennie Mackintosh designed or restyled rooms in all four of Kate Cranston’s Glasgow tearooms. 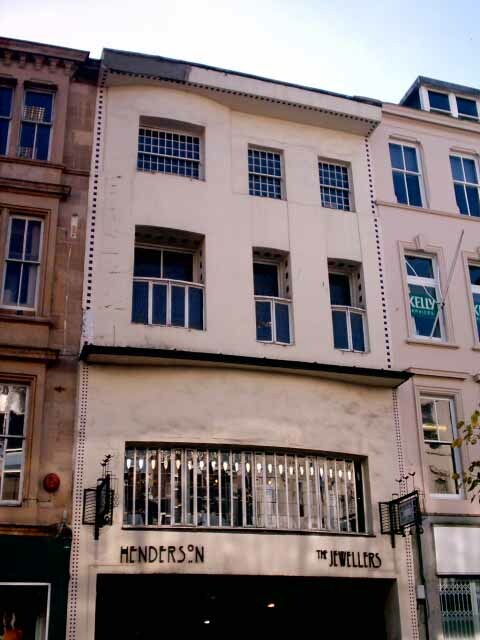 She approached Rennie Mackintosh to assist architect / designer George Walton on her new property in Buchanan Street. Rennie Mackintosh worked on just the wall murals for the Buchanan Street Tearooms as the interiors and furnishings were designed by George Walton. Rennie Mackintosh commenced work on Ingram Street Tearooms in 1900 and created the White Dining Room. Rennie Mackintosh then worked on The Willow Tearooms before returning to Ingram Street Tearooms on several occasions, creating the Chinese Room. In 1903 Rennie Mackintosh moved permanently to the Willow Tearooms in Sauchiehall Street where he designed all the interior fittings plus some exterior. Blythswood Square featuring a door by CRM. Masterpieces of architectural design by Charles Rennie Mackintosh that have existed only on paper for more than 100 years, have finally been built in model form. A spectacular domed concert hall, a railway station and an alternative to the Glasgow Royal Concert Hall are among the elegant buildings proposed by the renowned architect, artist and designer only to be rejected in the early twentieth century. John Cairney will be talking about his new book, The Quest for Charles Rennie Mackintosh – the first full-scale biography of Rennie Mackintosh, the architect and artist – on 10 August in Ottakars Edinburgh. Thirty years in the making, John Cairney sheds unexpected light on this complex Victorian Glasgwegian. Every qualifying adjective available has been brought into service in its praise and it is justifiably the best-known of Rennie Mackintosh’s architectural works, but this was not always so. 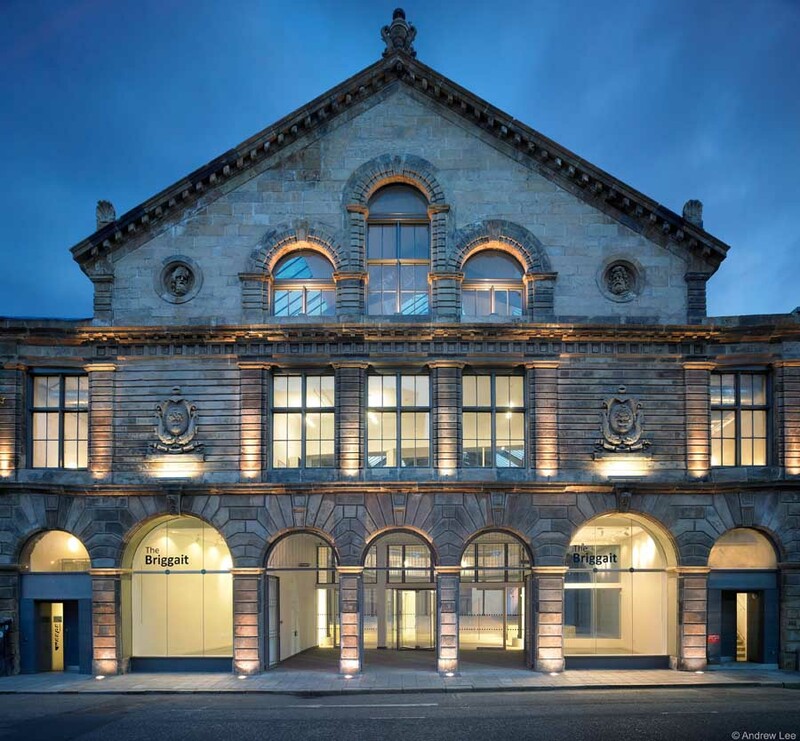 On a wet Monday in December 1899, the first part of the new Glasgow Art School was opened, ten days after Rennie Mackintosh’s 31st birthday. Once inside, safe from the rain outside, there were nine speeches in all, including one by John Keppie, his immediate boss, who was introduced as the architect. Rennie Mackintosh was nowhere to be seen and his name was not even mentioned. When the Glasgow Art School was finished in December 1908 Rennie Mackintosh was still not fully acknowledged as the architect. Director Francis Newbury in his own way tried to set things graphically to rights five years later when he presented to the School his portrait representation of the members of the Building Committee (1906-1909). However when the painting was unveiled a general consternation settled over the meeting when the Governors saw that Newbury had added the standing figure of Rennie Mackintosh on a fold at the left margin. When the portrait came to be presented to the Governors no mention was made about the figure of Rennie Mackintosh at the side. In the minutes of the meeting, the addition was not reported. Officially, it would seem, he did not exist. (The full photograph is reproduced in The Quest for Charles Rennie Mackintosh). Young Charlie was to develop a life-long love of flowers as well as a botanical awareness of their structure – all of which was to inform his adult work in design and form. This awareness was probably due to Rennie’s father, William McIntosh, who, although in the police all his life, was a passionate gardener and filled their Dennistoun tenement flat with flowers and vegetables produced from a sooty allotment which he rented in the grounds of Golfhill House nearby. Rennie Mackintosh and Margaret Macdonald complemented each other perfectly. Their honeymoon house (1902) was probably the first minimalist decoration scheme in a private home. It was also, to the professional eye, a domestic oasis in a cultural desert, and, to many, especially the Continental visitors was a white mirage in the middle of sooty Glasgow. 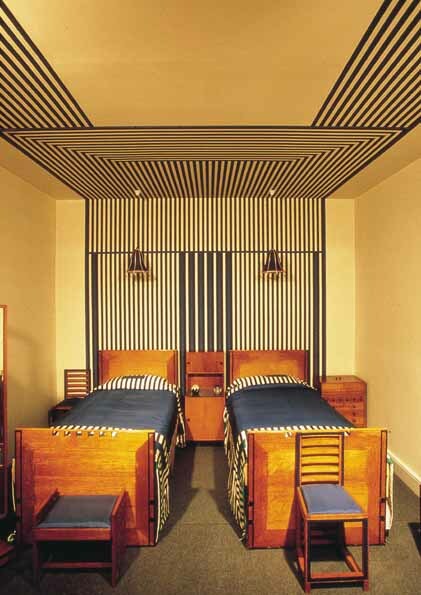 Charles Rennie Mackintosh was sufficiently inspired by their life together to design in that same year a pair of ideal homes that they one day might build, one in town and another in the country. The latter was in fact actually constructed, but nearly a hundred years later in 1992, at Farr, near Inverness, for Mr and Mrs. Tovell. One can only hope that someone will build the town house one day, and where better than in his home town of Glasgow. Rennie Mackintosh jailed during WW1 in Suffolk: Scottish accent led to arrest as a German! Village-sized suspicions and curiosities were fuelled by the paranoia created by the war and the odd behaviour of artistic Mackintoshes prompted gossip and in the jingoistic atmosphere of the time led to hysterical conclusions. Toshie’s nocturnal walks by the seashore and Margaret’s frequent trips away were not viewed as normal behaviour in war-time. Once when Margaret was away, Toshie was having trouble with a flickering lantern. The locals took the intermittent light to be a signal to a German ship at sea and informed the military. Returning from one of his nocturnal constitutionals Toshie found soldiers searching his house and, with the pent-up rage of the last decade boiling forth, went mad. Seized by two soldiers Rennie Mackintosh gave as good as he got, both physically and audibly, and the soldier on guard had to lay down his rifle and help control this manic, frantic German who was screaming incomprehensible Glasgow obscenities at the top of his voice. It took the arrival of Margaret a few days later to free the famous architect from jail. With an astonishing array of books on the work of Charles Rennie Mackintosh in print, this is the first full-scale biography of the architect and artist – the story of the man behind the myth. Charles Rennie Mackintosh can be described as the greatest-ever Scottish architect, a water colourist of genius or a capricious interior designer with a flair for unstable furniture. He is all of these things, but he is also an enigma – an almost impenetrable figure in the history of Scottish art and architecture. John Cairney, who, like Rennie Mackintosh, began his career at the age of fifteen at the Glasgow School of Art, has been trying since 1975 to find Mackintosh the Man amongst all that we know of Mackintosh the Artist and Architectural Icon. Managing to annoy, offend and finally antagonise the architectural establishment of his day to the extent that he was effectively driven out of his own city, Rennie Mackintosh went willingly into exile, first to England, then to France. Cairney traces Rennie Mackintosh’s turbulent life from his native Glasgow tenement, through success in Vienna and Turin until the final, bleak end in a London nursing home. John Cairney’s personal approach sheds unexpected light on this complex Victorian Glaswegian, and uncovers the talent and the passion that set him apart in his own time. Suffering from dyslexia all his life he still managed to produce work that astounded his peers with its originality and beauty. Having a drink problem at one stage he yet produced buildings that are now recognised as masterpieces of design and function. Making enemies on all sides, he still contrived to find a soul mate in a fellow-artist, Margaret Macdonald. Together, they created memorable interiors, but more importantly, they made a marriage that is one of the great love stories of art history. Throughout his tumultuous life, she was his one constant, and The Quest ultimately reveals not only a great artist, but also the man that has taken Glasgow a hundred years to find. John Cairney is an actor, writer and painter. He is best known for his solo performances playing such as Robert Burns, Robert Louis Stevenson and William McGonagall. His solo work has taken him round the world many times since 1965. In 1975 he wrote Mackintosh the Man, a 90-minute Dramatised Lecture Reading, which was later fleshed out by a full cast and shown by STV. When researching this script Cairney found no books solely on Mackintosh the Man and this lead him to search out the artist’s life. He now lives in New Zealand with his wife and colleague, actress/writer, Alannah O’Sullivan. Cairney’s previous books for Luath include On the Trail of Robert Burns, The Luath Burns Companion, Immortal Memories and The Quest for Robert Louis Stevenson. The unique one-day Rennie Mackintosh Trail Ticket is Glasgow’s newest tourism initiative For only £10 the one-day ticket gives unlimited travel on SPT subway and First’s bus services and entry to Rennie Mackintosh attractions including The Lighthouse, House for an Art Lover, Scotland Street School and The Mackintosh Church at Queen’s Cross. For only £10 the new one-day ticket gives unlimited travel on SPT subway and First buses and entry to twelve Rennie Mackintosh attractions throughout the city including Scotland Street School, Glasgow School of Art, The Lighthouse, McLellan Galleries, House for an Art Lover and more! Discounts can also be claimed at the Willow Tea Rooms and selected attraction’s gift shops. Tickets are valid for travel for one day and can be purchased from Tourist Information Centres, SPT Travel Centres and participating Rennie Mackintosh attractions.